Using gentle, targeted exercises that can be practiced during the first, second and third trimester, prenatal yoga classes generally focus on poses that strengthen and increase the flexibility of the muscles used during childbirth, while also increasing stamina. A prenatal yoga practice can not only relieve stress but also contribute to a healthier pregnancy. Postpartum yoga is usually started 6-12 weeks after giving birth. It is a great way for the body to recover from childbirth and to slowly build strength in the muscles lost during the gestation period. 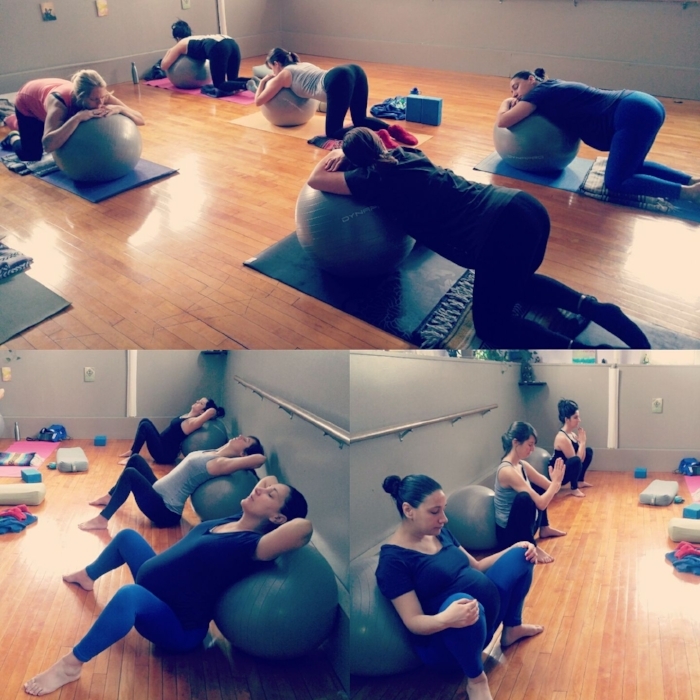 Classes are focused on relaxation of the mind, opening of the shoulders and neck, and strengthening the back, pelvic floor, and abdominal muscles. Private sessions are available upon request ($50/class). Special pricing applies for doula clients.